An alcove in the reading room of the library regularly features rotating book displays on a variety of topics. 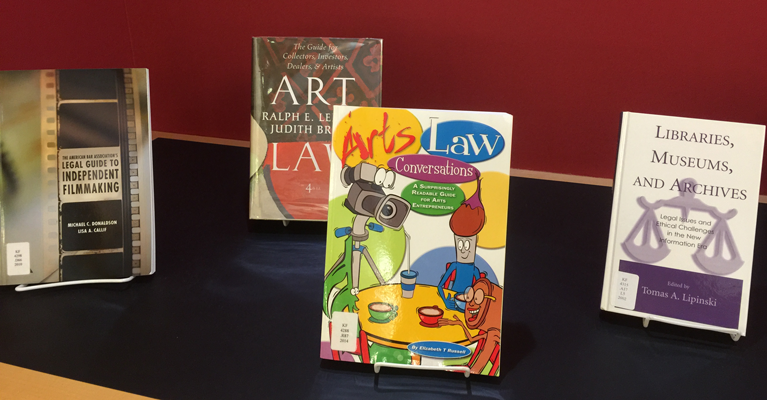 Our recent installation is on art law. 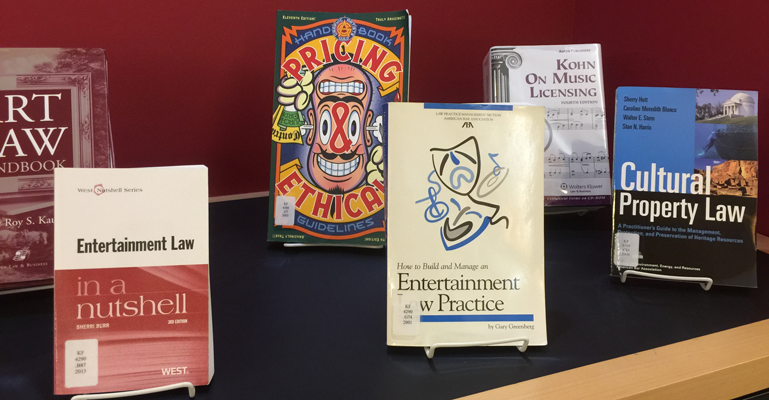 If you're an art entrepreneur, museum professional, or represent artists, check out these books for information about the legal aspects of making and preserving music, visual art, and performing arts. If you can't make it in to the library, check out the display online. 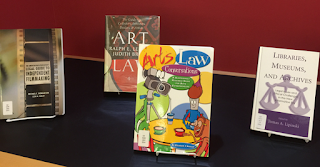 Check one out in the library or by mail with your library card.